Encre Noire À L’Extrême (or ‘L’Extrême‘ as it is hereafter referred to for brevity) starts out all vetiver and no excuses. There’s a paleness to the vetiver in the initial moments that is attractive and unusual, almost as if the familiar tones of the central ingredient are witnessed through a storm. The vetiver is calm at the eye of the storm, but is shadowed by a turbulent veil of elemi and spice as the scent is unleashed with force from the atomiser. The vetiver that is the heart of L’Extrême is rich and salty with facets of dry grass and earth. I find it to be hardier and more pointed than the original Encre Noire, which has always felt rather smooth to my nose, and I feel that it ultimately comes a cross as more raw and elemental. What I find particularly beautiful about L’Extrême is the way that it weaves a soft, suede-like iris note in between the sharp tendrils of the vetiver. The iris tempers the vetiver ever so slightly, stopping it from being so sharp it cuts, whilst intensifying its aloof earthiness and bringing a touch of the feminine to the proceedings. As it dries down, L’Extrême warms up with woods, spices and something with a mineral feel, but it doesn’t soften, and if anything it transitions to a more solid state. Sandalwood plays a big role in the dry down, creating an angular pattern of wood and spice with gaps for the rooty, salty and earthy vetiver to fall into. The whole thing feels seamless and bold, but at no point does the fragrance feel loud of intrusive, in fact I would say it’s best described as quietly confident. 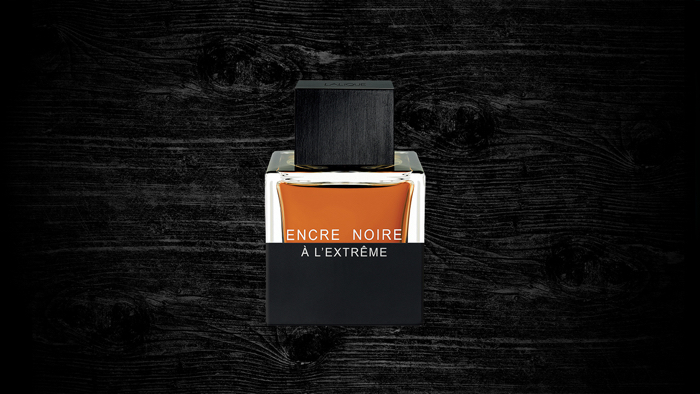 Encre Noire À L’Extrême is currently exclusive to Harrods and is available in 50ml (£57) and 100ml (£79) Eau de Parfum. It launches nationwide in early 2016. Sample, images, notes and quotes via Lalique. 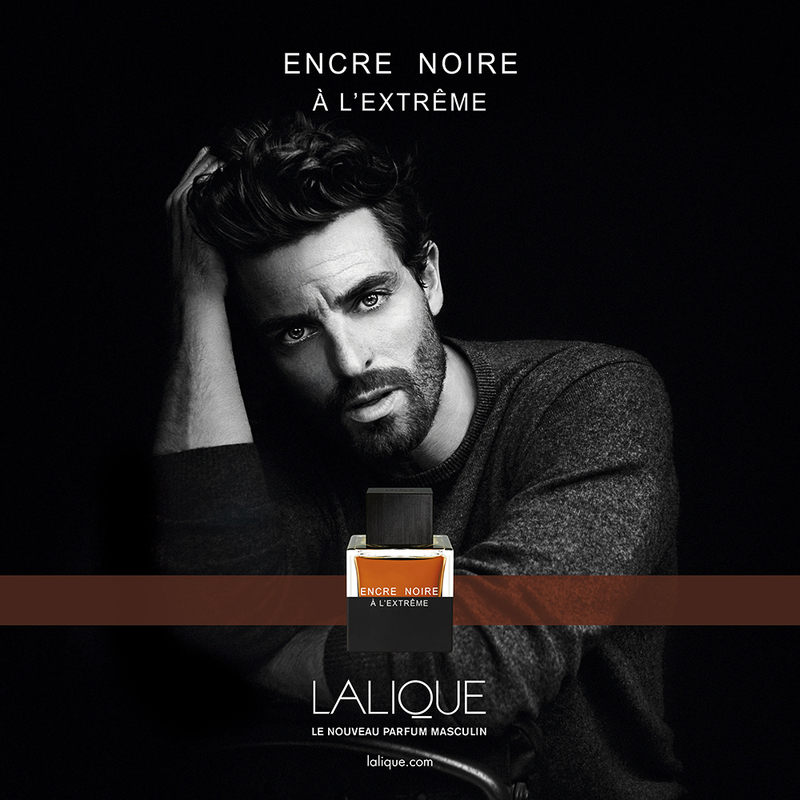 Posted in Flanker, Lalique, Masculine, Perfume Reviews, Vetiver and tagged Encre Noire, Encre Noire À L'Extrême, Fragrance, Lalique, Masculine, Nathalie Lorson, Perfume, Perfume Review, Vetiver. Bookmark the permalink. How about Sycomore, can it be better than Sycomore? how does it differ? Another favorite of mine is Be Ami Vetiver. Thanks for the review, I can’t wait to try it. It’s a whole other kettle of fish to Sycamore, I think. Possibly not quite on the same level. Does this one have an Oud sent to it? Though it’s not listed. Not really, it’s more of a salty vetiver with honey sweetness. Thanks, I have the first edition and is thinking about getting the sport or/and extreme. Can you recommend the sport version too? (is it a summer scent?) Or could I all over stick to the first version? I haven’t tried the sport so I can’t say, I’m afraid!